Save by Comparing Call Center Solutions! Do you already use a Call Center Software? When you manage a call center, the productivity of your agents is one of your greatest concerns. The more productive your agents, the higher your profits and the more satisfied your callers. Yet all too often, managers aren’t sure how to improve productivity, beyond creating seemingly arbitrary goals and targets for agents to meet. While measurable goals can help you gauge your center’s productivity, if you want to see real improvement, you can take several steps. It’s the foundation of management: happy employees are productive employees. When your employees dread coming to work because of negativity, gossip, poor management, or even an unpleasant workspace, they aren’t going to be productive while they are there. Allowing top agents to work from home provided they maintain the same level of professionalism and productivity. Create more ergonomically appropriate workspaces. This might include placing agent desks closer to windows, providing more comfortable chairs, and allowing employees to personalize their spaces. Allowing employees to take frequent breaks throughout their shifts. Incentivizing performance on the spot, by handing out rewards to top performers. For example, some call centers reward employees with cash or tokens to be used in the company vending machines or cafeteria. Involve employees by asking for their ideas for process or workflow improvements, and implementing their ideas. By removing the “drone” feeling that is common among call center employees, you’ll see an uptick in productivity. Offering immediate rewards for high performance helps make the call center feel more fun, but don’t stop there when rewarding employees. Develop a reward and recognition program that not only encourages employees to perform at their highest levels, but also motivates them to find ways to support their own growth and development. When employees are recognized for their hard work, they are more likely to be satisfied — and less likely to leave, preventing the costly turnover that hurts productivity. One of the biggest impediments to productivity is the time spent looking for answers. When customers call in for help or need a question answered, they expect the agent on the other end of the line to have the information necessary to help them quickly. Implementing a solution like the knowledge base software through eGain allows employees to find all of the information they need within seconds. Agents aren’t wasting time asking clarifying questions, searching through endless codes, or putting customers on hold while they search for someone who has the answer. Everything is right where they need it — potentially cutting call time down by more than 30 percent, allowing for more calls during their shifts. Knowing why customers are calling you is a key part of more effectively managing their calls. Identifying the biggest drivers of calls provides insight that you can use to develop other solutions for managing the majority of those calls, freeing up your agents to handle other calls. For example, one power company discovered that a large percentage of its calls were customers calling to report outages. By implementing an automated outage report hotline, as well as online reporting tools, the number of those calls decreased significantly — and the time required for call resolution for those customers not reporting outages decreased as well. The power company’s automated outage reports not only improved call center productivity, but also it improved customer satisfaction. Multiple studies have shown that the majority of people would rather self-service using online or automated options than call an actual person. 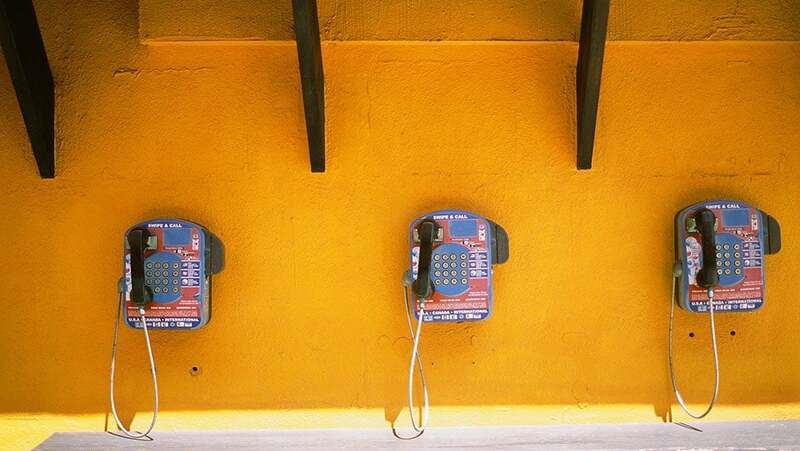 By improving your self-service options, meaning offering email, online chat, interactive voice response, and self-service options (or some combination of these tools) you’re not only giving your customers flexibility in how they contact you, but you are improving the productivity of the agents who are taking calls, since they are dealing with fewer calls. Improved agent productivity isn’t just a matter of making more people work more hours. When your employees are happy, have the tools they need to do their jobs, and aren’t trying to juggle hundreds of calls an hour that could easily be handled with other tools, there’s a good chance that you will see productivity soar — along with your customer satisfaction. I am a writing enthusiast that loves to create content along with painting and photography. I also enjoy seeking out new adventures and I am constantly reviewing and writing on new trends.